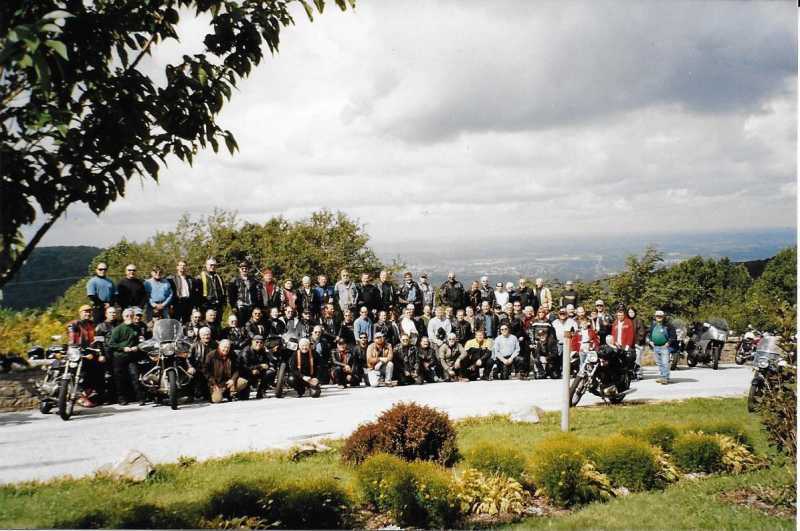 In years past, Bud Kubena hosted a series of organized rides, called The Pile Drivers. At their peak, these rides attracted as many as 100 participants. Here's a shot taken from one of them. Last Edit: 1 year 2 months ago by Webmaster. I think I recognize that scene. Is it on U.S. 40 east of Uniontown, Penna? My brother and me went on that ride one time many years back. Wish they would still have it. The scenery was great and they had some good food, too.